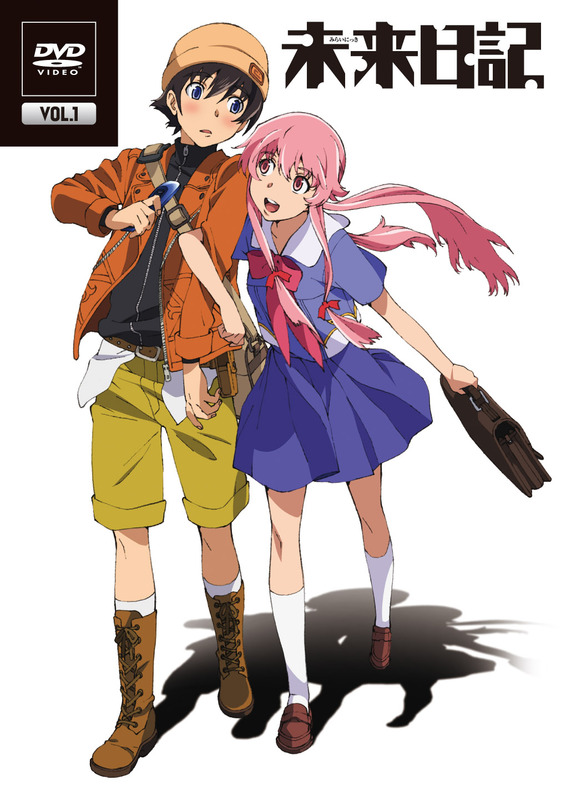 Future Diary first aired from October 2011 to April 2012. The story follows Yukiteru Amano, a loner high school student who spends his days writing observations down into his diary that he keeps on his phone. Then, one day while conversing with his only two friends, Deus Ex Machina the god of time and space, and Murmur, the god’s servant, who he thought to be imaginary, reveal themselves to actually be real entities. Deus Ex Machina grants Yukiteru’s diary the power to see into the future and detail the events that will happen to him. The god then goes on to explain that he wishes Yukiteru, along with eleven others, to compete in a bloody game to death and betrail to determine Deus’s successor. Yukiteru teams up with his obsessed stalker Yuno in attempts to be crowned the new god of time and space. My Review: I quite often hear Future Diary receive a lot of attention, none of it is particularly positive or negative, however, one thing that is mentioned often is that in the past, this is the anime where quite a few of people find out about what a yandere is, the character trait does have a considerable impact on the show but it does seem like it could be overpowering some of the other concepts in play, I feel that more focus could have gone into the development of the diary concept, and perhaps spent a little more time developing some of the other competitors rather than just having them as one of the characters. I do have to say thought that towards the end, the plot goes quite off the rails and if you struggle with concepts of alternate dimensions, time travel and the like then you will probably get quite lost.